Digital is killing democracy RT — Renegade Inc.
A big assumption we make when talking about the Internet and social media is that it is a power for good and enhances democracy. But what if social media actually narrows the debate and closes down free speech? After a string of recent global political upheavals, we ask whether it is time to re-think where we get our information from and who is pulling the strings? 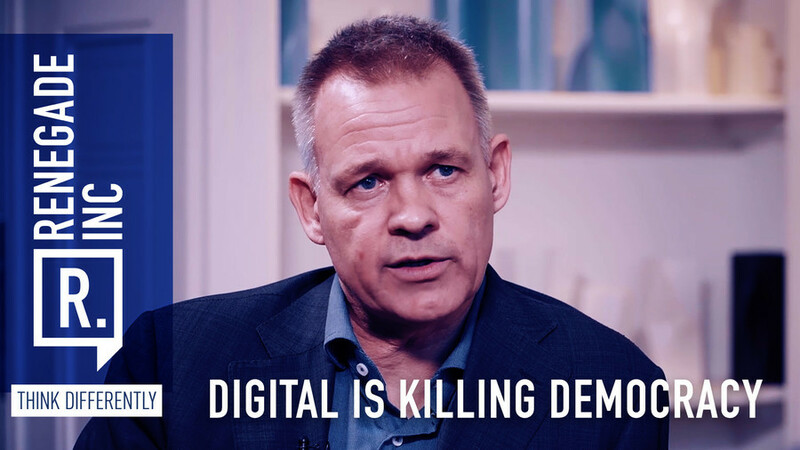 Host Ross Ashcroft travels to The Netherlands to meet political scientist Andre Krouwel, who thinks differently about the power and influence of social media.